The season has drawn to a close and my three grand tour riders have enjoyed very different fortunes since the Tour de France. Samuel Sanchez and Alejandro Valverde both rode the Vuelta a Espana while Alberto Contador took the unusual (for him) step of riding a number of one-day races. All three represented Spain at the Road World Championships in Tuscany at the end of September. WorldTour ranking: 15th, 252 pts. The last third of the season produced slim pickings for Alberto. Post-Tour criteriums aside, in many of the other one-day races he was way, way down the order and registered DNFs in Il Lombadia and the World Championship road race. This just confirmed what we’d already thought. 2013 has been an année sans by his reckoning. It’s hard to say what went wrong but Alberto feels that he started the season too early in Argentina where he recorded his only ‘real’ win of the season in the queen stage of the Tour de San Luis back in January. It’s true the results were not the same as in previous years. There were a lot of factors. The schedule wasn’t right. I started racing too early. I never had a good base that I needed to race to win. It remains to be seen how Alberto will respond to what has been a difficult season for him. 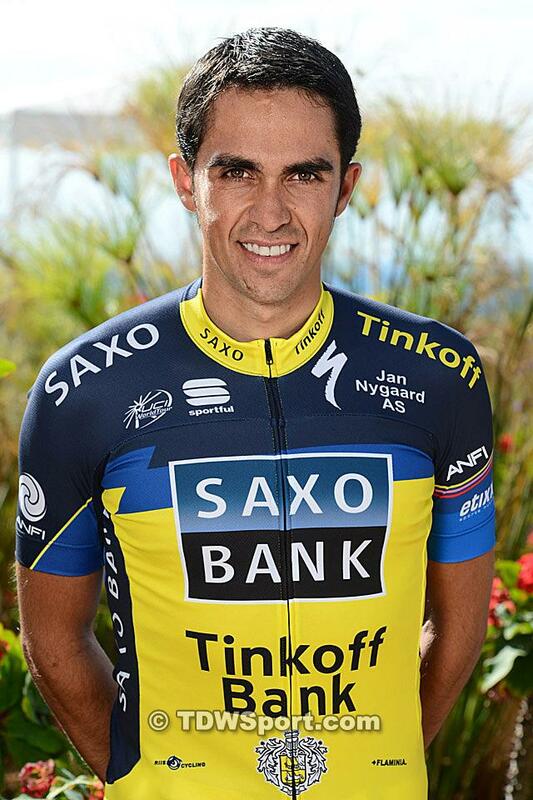 Nonetheless, he radiated confidence and claimed he would aim to win both the Tour and the Vuelta in 2014. Having been dethroned this year by Chris Froome and, as he enters what could be the twilight of his career, there are plenty of younger contenders snapping at his heels, led by Vincenzo Nibali and Nairo Quintana. Have we seen the best of Alberto? I sincerely hope not but only next season can answer that question. Yesterday I said goodbye to my 2013 season and today already begins the 2014 season.Thank you all for your support,you are great! Yesterday, both Alberto, Alejandro and their respective teams received some good news. The Court of Arbitration for Sport ruled in their favour and overturned the UCI’s sanction that their points gained in the two years after their return from their bans wouldn’t count towards their team’s overall classification. 3rd overall at Vuelta a Espana, won points classification, six top-five finishes. 3rd in Road World Championships road race. WorldTour ranking: 3rd, 540 pts. At least Alejandro Valverde had a successful final flourish to his season. He leapt up the UCI ranking to secure third place behind Joaquim Rodriguez and Chris Froome. But his season-end was not without controversy. In the Worlds road race the Spaniards, who had strength in numbers in the final kilometres of the race, finished second and third with the merest suspicion that Alejandro had put team before national loyalties and denied Rodriguez a gold medal. I don’t subscribe to those rumours because, of the four riders contesting the medals, Alejandro was the best sprinter and, had he had the strength, he would surely have won rather than picked up his fifth non-gold world championship medal. After yet another hard-fought place on the Vuelta podium behind Chris Horner and Vincenzo Nibali, Alejandro can look back on a successful 2013 campaign. Having participated in his local Marcha ciclista Murcia, Alejandro is taking a well-earned break with his family before resuming training for next season. Movistar recently confirmed its sponsorship for another three years and, after the sad demise of Euskaltel-Euskadi, is the sole Spanish representative in the WorldTour. I want to thank all my fans for their unconditional support during the most beautiful but also the most difficult hours of the current season. Without you, nothing would be possible. Thank you with all my heart. See you soon. 8th overall Vuelta a Burgos, one 4th place..
8th overall Vuelta a Espana, three top-five places. WorldTour ranking: 46th, 114 pts. If 2013 was not a good season for Alberto it’s been even worse for Samu, although his sole victory was at least achieved on the queen stage of a WorldTour race. Not since 2004 has he only registered one victory in a season. He started the Vuelta out of sorts but came back strongly to finish eighth overall, though without a stage win. He was no doubt hoping to rectify matters at Il Lombardia, a race in which he’s finished runner-up more times than I’ve had hot dinners – okay, I exaggerate! [Three seconds and one third – Ed.] But sadly the injuries he sustained in a high-speed fall in the World Championships road race put paid to his season. 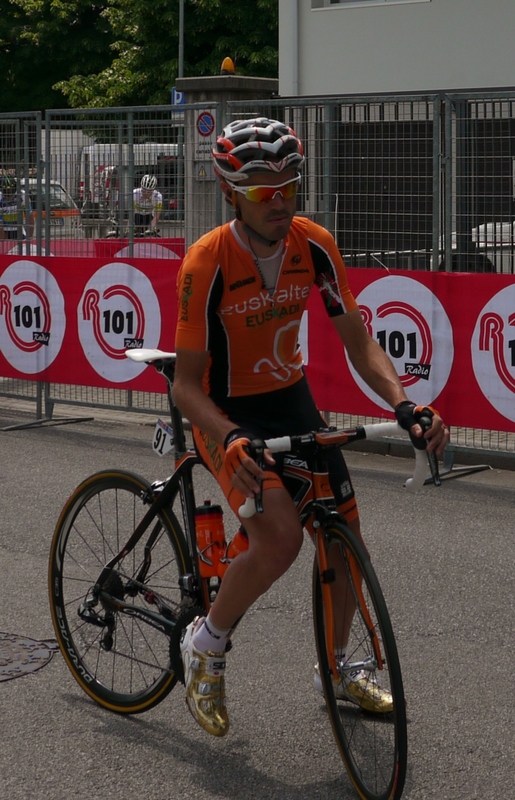 After Fernando Alonso’s much-heralded rescue of Euskaltel fell through, Samu is still without a team for next season. He was under contract with Euskaltel for another two years which means he won’t go empty-handed but rumours that he would be riding 2014 in support of Alberto seem to have been either premature or wide of the mark. In any event, I would expect him to pop up in Alonso’s new team in 2015 in some guise or other. This year I have perhaps not had the luck or ridden at the same level as other years but that doesn’t mean that next year I won’t have a stellar season. My head is good and my legs are too. I just need to find a little bit of peace and sporting stability, and get back to working on the bike. I too am hoping he finds a new berth soon!